Apocalypse 4 Real: Meandering Jet Streams: Jennifer Francis, "More of the Same, More Frequently"
Meandering Jet Streams: Jennifer Francis, "More of the Same, More Frequently"
While I was preparing this follow-up to the "Bi-polar Jet Stream" post of February 8, 2014, the BBC just reported a summary of a new study presented at the annual meeting of the American Association for the Advancement of Science (AAAS) in Chicago. The study summarizes research on the increasing warming in the Arctic and its creation of a wavier jet stream and concludes the resulting Rossby Waves may be a longer term change. According to the BBC's reporting, Jennifer Francis stated, "This does seem to suggest that weather patterns are changing and people are noticing that the weather in their area is not what it used to be." Additionally, in regard to the recent extremes in the US and Europe, she commented, "We can expect more of the same and we can expect it to happen more frequently." 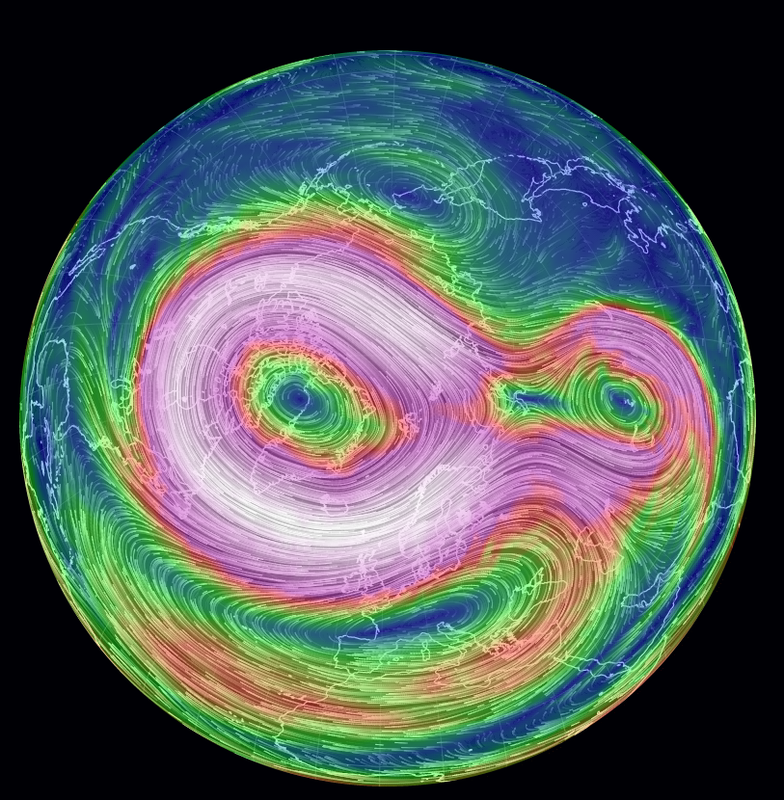 Here is the current Northern Hemisphere patterns that seem to support the report. 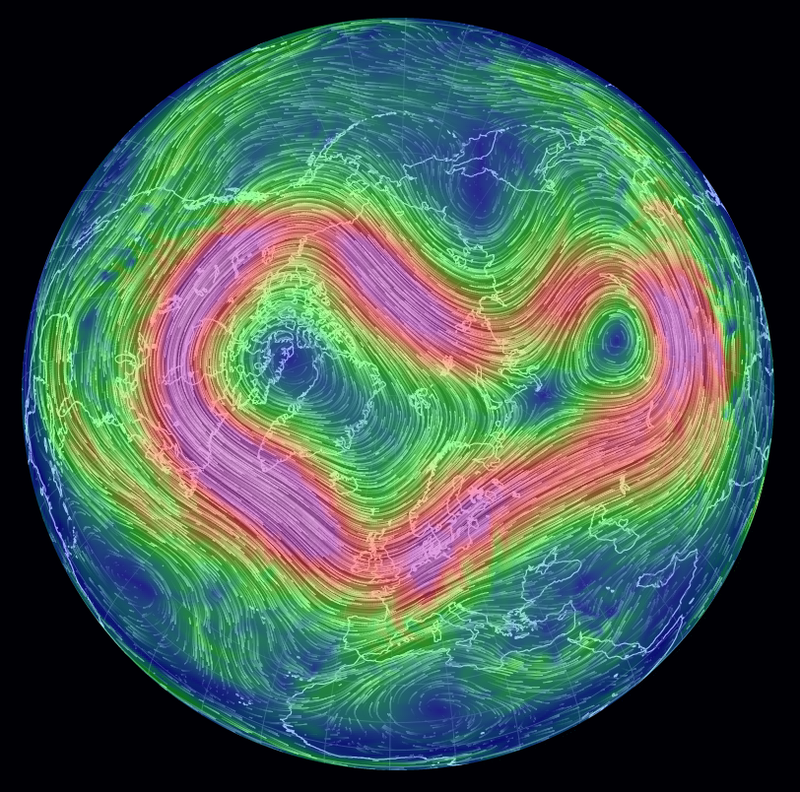 The following are the wind patterns for February 15, 2014. The image is below the comments. At 10 hpa/mb, the jet seems to be re-consolidating around one focal point off of Western Greenland, with continuing higher speeds. 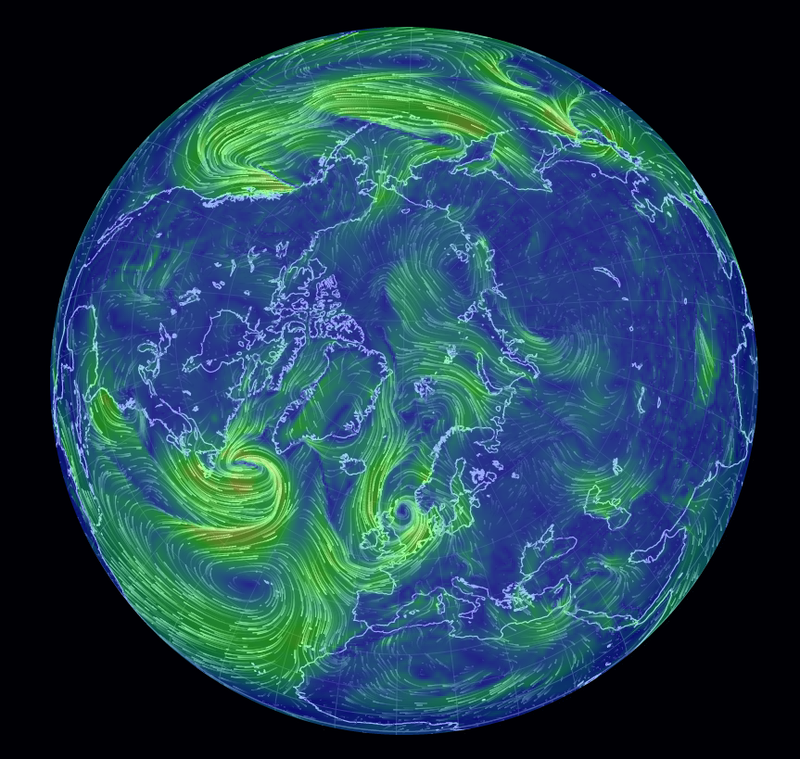 The 70 hpa/mb, reveals a more disrupted flow, with two centers, one near Greenland and the other over central Asia, the other "cold pole" for current Arctic temps. The 250 hpa/mb repeats a mangled mess similar to the one on the 8th. 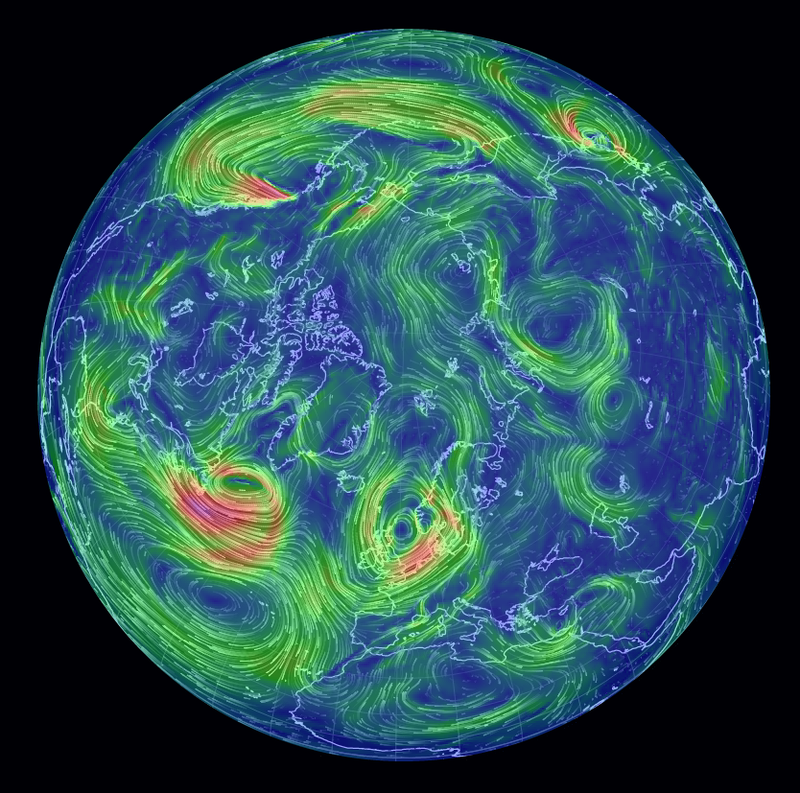 The current wave over the Atlantic, dips all the way into North Africa before rushing north again over Scandanavia. 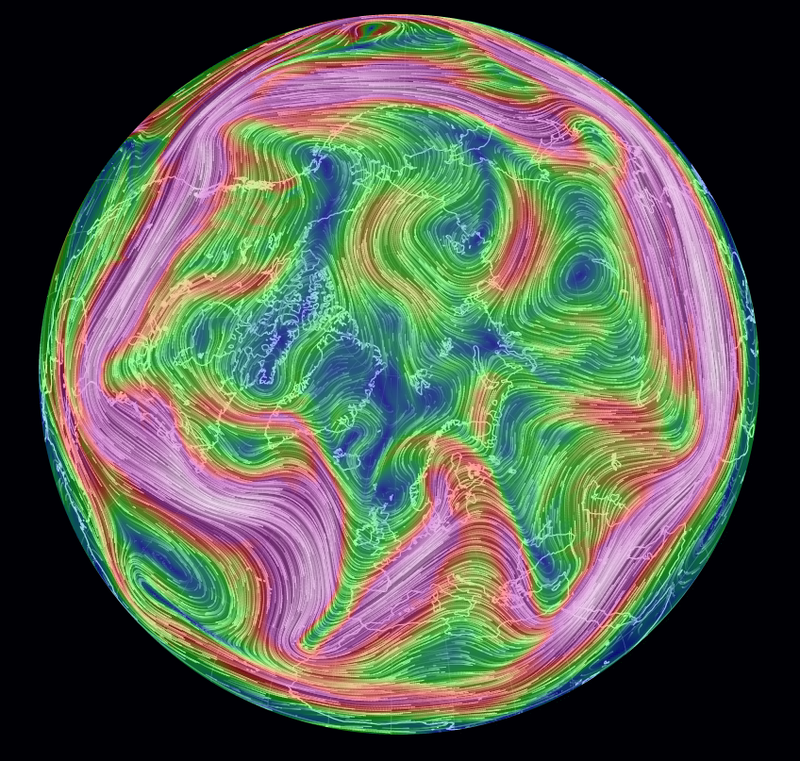 A very similar pattern appears at 500 hpa/mb, with the jet stream not only winding across the planet, but also splitting into numerous strands looping around highs and lows over the Northern Hemisphere. 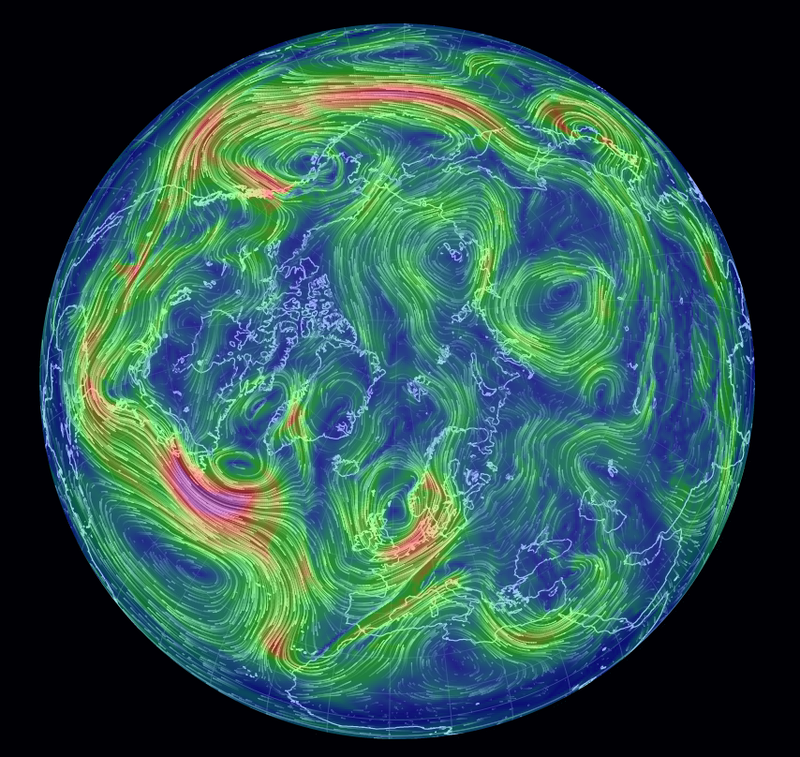 The 700 hpa/mb jet is not as strong but just ans winding around the Northern Hemisphere. 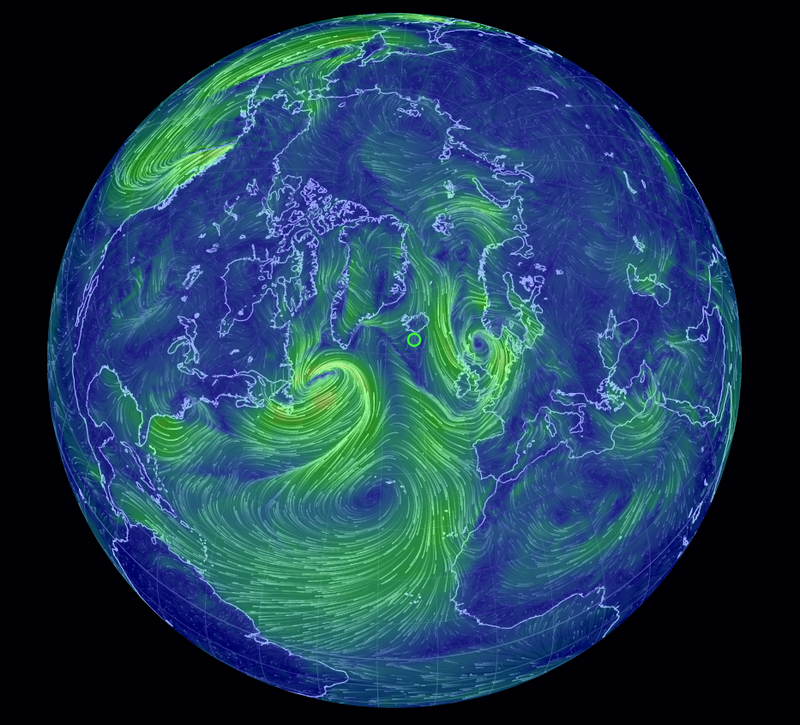 The winds over the CAB are still apparent, pulling the warmer air from the Atlantic side toward the Pacific. The 850 hpa/mb layer shows the strenght of the winds driving the next major storm towards the UK, along with the most recent low pressure to hit the island. The 1000 hpa/mb wind pattern depicts the interaction of the Azores high and the low pressure just leaving North America and aiming towards Europe. 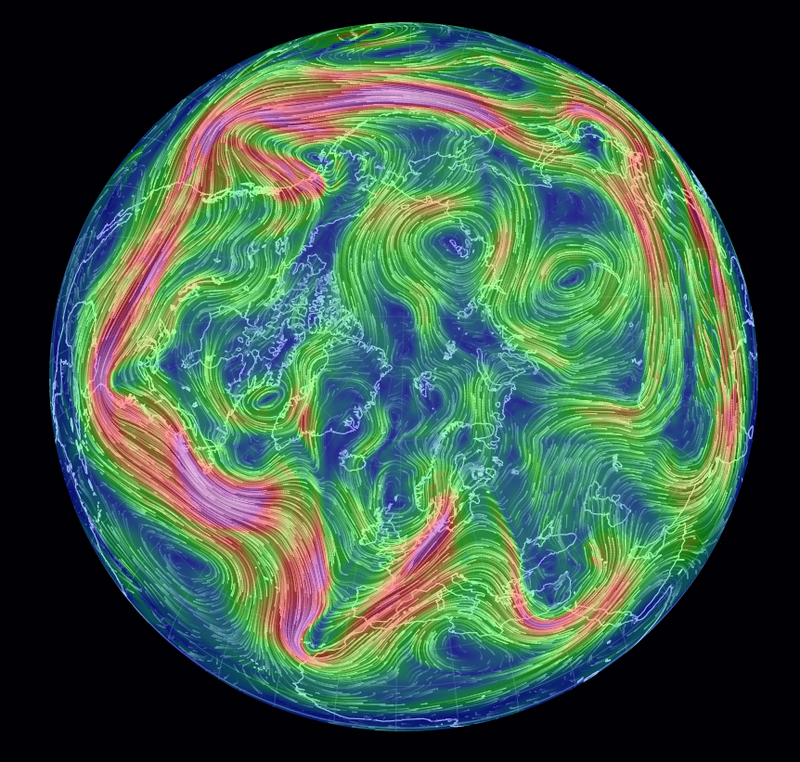 The surface wind pattern is similar to the 1000 mb layer, but illustrates the impacts of these winds across the Atlantic, the UK, and also in to the European countries.